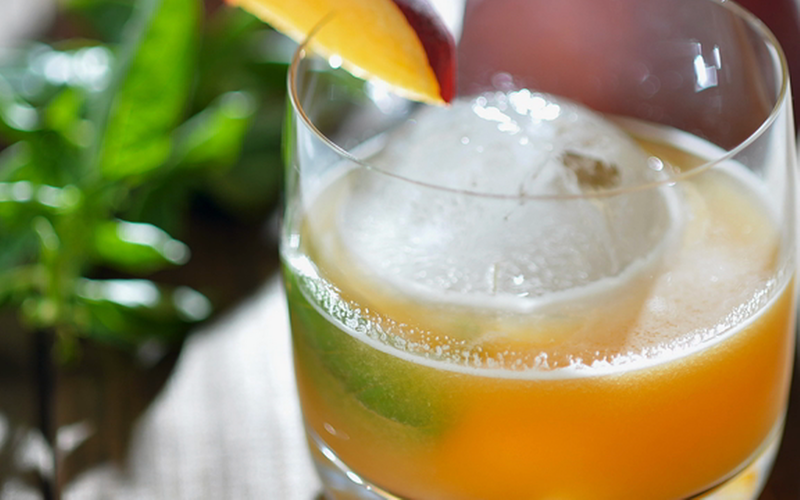 This refreshing prosecco cocktail is made with fresh nectarines and is a great addition to any cocktail party. 1. Peel nectarines, cut them up and, using a fine mesh sieve, push through all the liquid. Do this for all nectarines until you end up with a bowl of finely sieved nectarine puree. 2. Using a spoon, spoon a big dollop into the bottom of your glass so it should be 1/3 nectarine puree and 2/3 prosecco. 3. Carefully top with prosecco making sure it doesn’t over fizz. 4. Sieving the nectarines through a fine mesh is the most important part, in order to get the freshest puree which makes the Nectarini so delicious.